Bangalore becomes a host for the southern edition of the entrepreneur startup summit 2017 with huge fanfare in attendance. 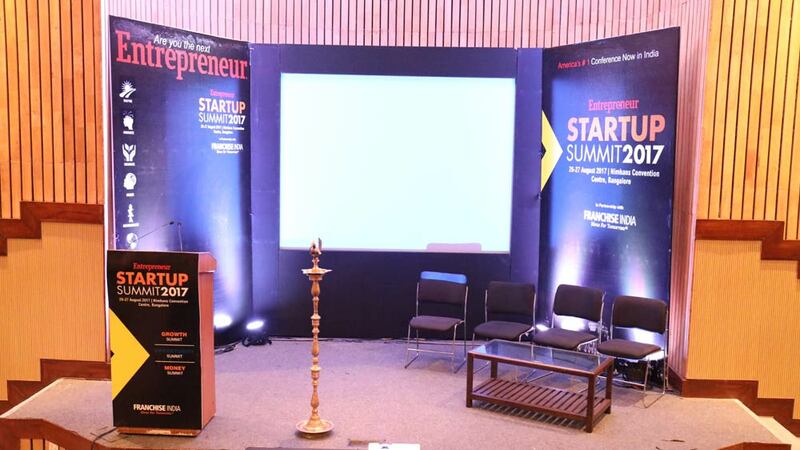 The Entrepreneur Start-up Summit 2017 for the South Region, was held at startup capital of India, Bengaluru, at The Nimhans Convention Centre on 26 and 27 of August. The event brought together various business leaders and startup heads, to empower entrepreneurship among budding by creating insights on starting, managing and running a Business. The event which took place along the Franchise Retail Expo, South India’s biggest franchisee exhibition, witnessed participation from over 200 entrepreneurs, SME owners, start-ups, investors, national and international thought leaders and the Honorable Minister for IT and BT, Shri Priyank Kharge who opened the Summit. While day one, was focused on the spirit of entrepreneurship, bridging the enterprise startup divide, building a brand from scratch and retail sessions, day two focused on scaling heights, where the focus was expansion of brands, growing your venture, identifying the right opportunities, and raising growth capital. The Summit was inaugurated by Priyank Kharge, the Information Technology and Tourism Minister for the State of Karnataka, who has himself, spearheaded various startups initiatives since he took charge. He spoke about the importance of idea validation and why industry leaders need to come forward to mentor these entrepreneurs. 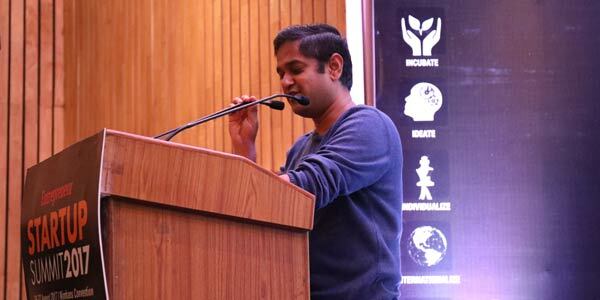 Placing importance of the idea and innovation, rather than the scale of the company, he emphasized the need to help all promising startups and not just those which have already received funding. “We at the Karnataka government believe in lending support to all entrepreneurs, not just big and established ones. We have supported over 1700 startups in the past year in some way or the other and have even inducted many of them within our government to work with us,” he said. Talking about where some of the big startups had failed in recent times, he cautioned against wasteful expenditure, and encouraged entrepreneurs to build products that a million people could use and not just a few. His vision is to make Karnataka and India not just one of the top investor friendly destinations in the world, but the best among them. Building a brand is one of the toughest challenges faced by entrepreneurs as they are often faced with stiff competition in the market. Talking about the nuances involved in building a brand, Vasanth Kumar, Managing Director, Max Retail who has successfully established a strong network of retail stores across the country gave insight into how customer experience is paramount in building a strong brand. He urged entrepreneurs to stick to what their brand motto stands for, just like Max stands for affordable fashion and he made sure that his brand offers better prices than the rest in the market. For retailers in particular, he harped on the importance of not clogging up inventory unnecessarily as it could lead to waste of resources. Even with high focus on online shopping he feels offline retail is here to stay and will work together with online stores and not against them. “Retail players need to have both online and offline presence to maximize their customer presence,” he said. A new brand of retailers took to the stage to talk about the disruption created in the sector by new players, and how they are taking on big players, while maintaining an identity of their own. The panel consisted of Sreedhar Prasad, Partner - Management Consulting, KPMG India as the moderator and Tushar Ahluwalia, Co-Founder & CEO, StalkBuyLove.com, Preeti Gupta, Chief Operating Officer, Enamor and Mukul Bafana, Co-Founder & CEO, Arvind Internet as the panelists. The panelists talked about the huge potential the new retail sector has in India and how need-focused and customized experiences are trending in the sector. Preeti Gupta of Enamor talked about how the lingerie category amongst apparels, has come from being a tucked away sector to a more acceptable and openly accessible platform and contrary to popular belief small cities have a huge demand for their products. Ahluwalia, on the other hand talked about the need to provide customers with a unique experience, and why customers increasingly want to buy from product experts than just groups who sell everything. The panel overall agreed, that the Indian market is still at a nascent stage in terms of new retail channels compared to UK and US, but has great potential to grow. Picking a model for business that picks pace as you expect t to is an endearing challenge. Yet some models, end up doing better than others, the secrets to which were decoded by entrepreneurs from successful ventures. The panel was moderated by Bala Murali Krishna, Author of Banaglore Startups: A Quick Guide and consisted of Manjunath Talwar, Vice President-Quikr and Co-founder of Hiree, Ashish Nichani, CEO & Co-founder, PlaceofOrigin.in and Arunabh Sinha, Founder & CEO, UClean. The entrepreneurs spoke about conducting surveys and market researches before blindly jumping into the bandwagon of startups and focus on their strengths. While Nichani talked about the initial logistical difficulties he had to face to ship food products, Talwar shared how difficult it was to get a huge database to job seekers and employers and expect them to trust you in a short span of time. All panelists agreed, that the key to fast growth was to successfully bootstrap the venture before conducting more rounds of funding and later realizing that the idea may not work in the long run. Pioneering brands always start humble but go on to become big with the right focus. Sharing their thoughts on starting humble but scaling great heights K Ullas Kamath, Joint Managing Director & CFO, Jyothy Laboratories Ltd. and Co- Chairman, FICCI Karnataka State Council and Shaleen Sinha, CEO, Zivame.com gave individual presentations of how they steered their brands. Kamath, who heads one of India’s most sought after FMCG companies talked about the importance of product and how customer was king. He said, be it digital or offline, unless a product satisfies the need of the consumer, the brand will never get loyalty. “Marketing, advertising, online, offline, billboards, are all means of communication, they cannot replace the product. It has to be the star,” he said. “The only way to scale up you business is to combine 2 plus 2 and make it 5, unless you do that in business, your venture will never grow,” he added. Shaleen on the other hand talked about the importance of customer awareness as Zivame was launched on an online platform and it was crucial for consumers to recognize them. Talking of scalability, he urged entrepreneurs to always have a long-term plan in their vision and not restrict themselves to short-term aspirations. After two days of enriching sessions, entrepreneurs had been waiting to meet their most desired panel- the investors. The esteemed panel consisted of Karthik Mahalingam, Partner & National Practice Head - Venture Capital - ‎Shardul Amarchand Mangaldas who moderated the session with Deepak Aggarwal, AVP, Ideaspring Capital, Rajat Agarwal, Vice President, Matrix Partners India and Mayuresh Raut, Managing Partner, SEA Fund as the speakers. For most growing businesses idea validation for successful fund raising becomes a challenge, as most are at a nascent stage and are unable to assess their weakness and shortcomings. To help them validate their ideas and business models, a Mega-Pitch Session was organized at the Summit were ten promising startups got to position their ideas to our panel of judges. The esteemed judges on the panel were Karthik Mahalingam, Partner & National Practice Head - Venture Capital - ‎Shardul Amarchand Mangaldas, Deepak Aggarwal, AVP, Ideaspring Capital, Rajat Agarwal, Vice President, Matrix Partners India, Mayuresh Raut, Managing Partner, SEA Fund and Amol Arora, Vice-Chairman & MD, Shemrock & Shemford Group of Schools. Each of the startups were given three minutes to make their pitch to investors, post which investors would question the companies about the practicality and innovation of the idea, along with the business model on which they plan to accrue revenues. Some of the most interesting startups among the participants in the session were GSTStar, LunchBox, Team Pumpkin and MakerinMe which was adjudged as the best startup.